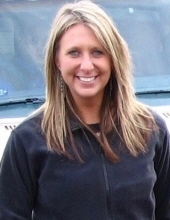 Heidi Jo Eis-Duncan was born on August 2, 1972 in Humboldt, NE. She passed away on January 19th, 2019 in Lincoln, NE. Heidi graduated from Lincoln High in 1990 and earned her Associates degree in nursing from Southeast Community College, Lincoln in 1997. Heidi was a beloved mother, daughter, granddaughter, sister, cousin, niece and friend to so many that are devastated by her unexpected passing. Heidi was a hilarious, beautiful soul whose infectious laughter could fill a room. Her biggest pride in life came from her children Kaleb, Kylee, and Christopher and she strived to give them the best life she could. Heidi loved taking care of people. This is evident by her lifelong passion for nursing and dedication to raising three great children as a single-parent. Those that knew Heidi knew she was silly, compassionate, proud, loving, pretty stubborn, and her relationships with friends and family were deep. We hope that everyone that loved Heidi finds comfort in reminiscing on the good times and knowing that she is at peace now. Heidi is survived by her children Kaleb, Kylee, and Christopher Duncan; her mother, Enette Paterson; her father, Ron Eis (Debra) of Humboldt, NE; her half-brother, Andy (Sarah) Eis of Houston, TX; her half-sister, Nicole (Cory) Westfall of Austin, TX and dozens of cousins, nieces, nephews, and other extended family. She was preceded in death by her step-father, Curtis Paterson; grandmother, Alice Conklin, and grandparents John Wm. & Lucille Eis. A memorial service will be held on Saturday, February 2nd, 2019 at 1:00 pm at Colonial Chapel in Lincoln, Nebraska to honor Heidi and bring together those that loved her. We ask anyone that knew Heidi to come and help celebrate her life. If you knew her well and would like to speak to your relationship and her impact on you, please reach out to kalebduncan0@gmail.com. To send flowers or a remembrance gift to the family of Heidi Jo Duncan, please visit our Tribute Store. "Email Address" would like to share the life celebration of Heidi Jo Duncan. Click on the "link" to go to share a favorite memory or leave a condolence message for the family.